In order to use Cute Editor, its DLL files are required to be installed into your Iron Speed Designer application. However you can select the Cute Editor option for your application without having installed Cute Editor. If the DLLs are not found, a compilation error will occur in your application. Step 2: Unzip the folder; copy the following files into the bin folder of you application; however only CuteEditor.dll is required to generate the Cute Editor. 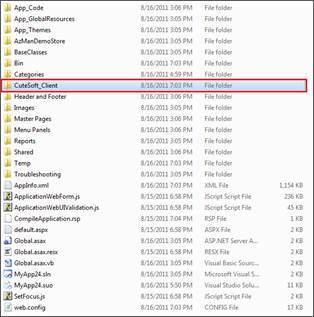 Step 3: Copy the CuteSoft_Client folder to your application folder. Step 4: Now you have option to change the Editor Type from two different places. First way to do this is to go to Application Generation Options/General Application Options/Web Page Options or Mobile Page Options/Rich Text Editor Controls and select the Cute Editor. This way it will be change every page in the application. Second way would be to change the Editor type from the Property Sheet for the control. Step 1: Open the application in Microsoft Visual Studio. 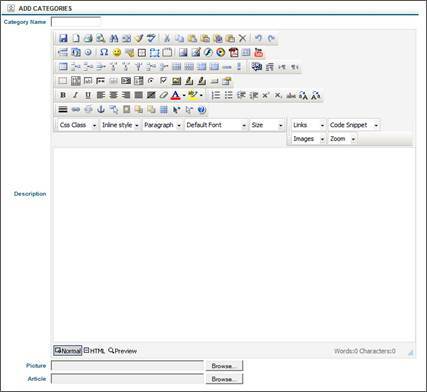 Step 2: Select the reference folder in the solution explorer. 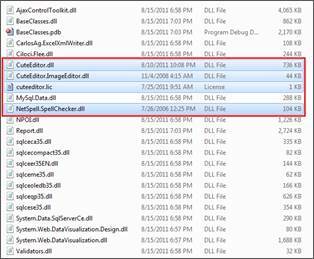 Step 3: Add references to the respective DLL by browsing to the \Bin folder, where you copied the DLL file earlier. You need to manually create a folder named 'uploads' in the your application folder. In some cases, Cute Editor dialog boxes are not displayed when your application is running in the IE 9.0 browser and you click a Cute Editor button that should display a dialog box. You need to click on the 'Compatibility View' button on the IE URL bar first, and then click the button on Cute Editor to bring up its dialog box. You only need to enable it one time. You can turn off 'Compatibility View' later and the dialog boxes will still display.